Discussion in 'Article Discussion' started by Gareth Halfacree, 20 Nov 2014. OMFG!!! Can't wait, that brings back so many memories. ^^^This Wish someone would make a sequel to the other great LucasArts game 'Grim Fandango'..."Bring back Manny!" Not sure a GF sequel would work given the ending? But either way there is the remastered version to look forward to http://www.rockpapershotgun.com/2014/07/09/grim-fandango-remaster-remake-pc/ - there's going to be a playable version at the Playstation Experience fan expo in Vegas on Dec 6th. For yet-another-pixelated-indie-game, I'm surprised they're really looking for $375000, but, I guess they know they can mooch off the success of the old game. I know Manny and Meche boarded the Number Nine for their journey to the Ninth Underworld but it's fantasy, anything is possible, maybe the train broke down and they didn't make it or as is the norm these days, a prequel to GF, surely there is a story there somewhere? The remastered version by the man himself, Tim Schafer looks good. Started on the juice a bit early today did we Gareth? 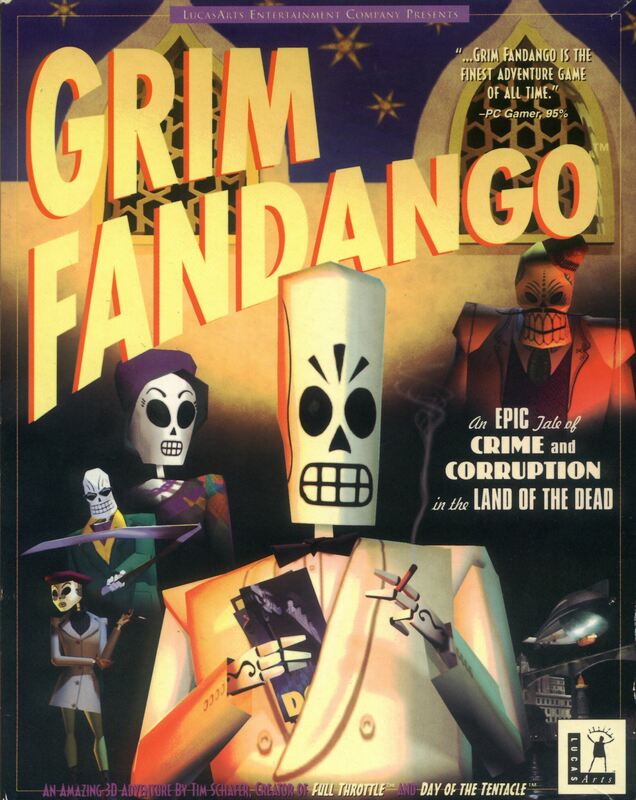 I used to hope for a sequel to Grim Fandango but now Disney own it I'd prefer it not happen. I wish. I'm on a diet, and do you have any idea how many calories are in beer?! (About 170-200 per pint of ale, if you were wondering.) No thinkin' juice for me. Sadface.